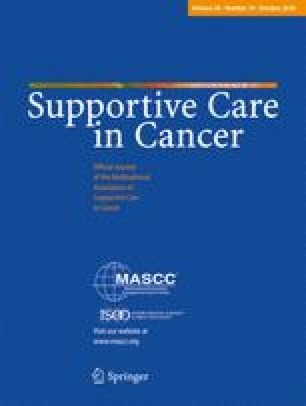 To explore the actions cancer patients reported they would take in response to a range of common side effects of chemotherapy and whether these were considered appropriate based on current guidelines and evidence; and to explore the sociodemographic and cancer-related variables associated with patients selecting the appropriate action (immediate medical attention or reporting) for two potentially life-threatening side effects: fever, and unusual bleeding and bruising. Four hundred thirty-six medical oncology and haematology patients receiving chemotherapy completed two surveys to provide demographic, disease and treatment characteristics, and details on how they would respond if they experienced a range of specified side effects of chemotherapy (for example, nausea and vomiting, fatigue, and skin rash or nail changes). The proportion of patients reporting the appropriate action for each side effect was calculated. Multiple logistic regressions examined the patient demographic and cancer characteristics associated with selecting the appropriate action (seeking immediate medical attention) for two potentially life-threatening side effects of chemotherapy: high fever of 38 °C or more, and unusual bleeding or bruising. Two thirds of patients indicated that they would seek immediate medical attention for high fever (67%), but only 41% would seek immediate attention for bleeding or bruising. Cancer type and time since diagnosis were significantly associated with patients indicating that they would seek immediate medical attention for high fever; while time since diagnosis was the only variable significantly associated with patients reporting that they would seek immediate medical attention for unusual bleeding or bruising. For chronic side effects, like skin rash or nail changes, and tingling or numbness, which usually do not require urgent reporting, only between 12 and 16% would report them immediately. A significant proportion of patients reported that they would “do nothing” about fatigue or tiredness (24%). By comparison, less than 10% patients reported that they would do nothing for the other side effects investigated. Tools need to be created so that patients better understand the side effects after being treated with chemotherapy and what action they should take. Understanding how patients intend to report side effects allows the development of educational tools to help patients better understand the side effects of chemotherapy and the need to promptly report potentially life-threatening side effects. Our thanks to the participating cancer treatment centres; Rochelle Smits, Alison Zucca, Heidi Turon and Hannah Small for research support; Sandra Dowley for data management; and Tiffany Evans or statistical assistance. I acknowledge the support of Christopher Oldmeadow, Senior Statistician Hunter Medical Research institute in reviewing the manuscript. This research was supported by a National Health and Medical Research Council (NHMRC) Project Grant (ID 1010536), a Strategic Research Partnership Grant (CSR 11-02) from Cancer Council NSW to the Newcastle Cancer Control Collaborative (New-3C), and infrastructure funding from the Hunter Medical Research Institute (HMRI). A/Prof Mariko Carey was supported by a NHMRC TRIP Fellowship (APP1073031). Dr. Allison Boyes was supported by a NHMRC Early Career Fellowship (APP1073317) and Cancer Institute NSW Early Career Fellowship (13/ECF/1-37). Ethical approval was granted by the Ethics Committees of each of the hospitals in this study, and all procedures performed involving human participants were in accordance with the ethical standards of the institutional research committee and with the1964 Declaration of Helsinki and its later amendments. Written informed consent was obtained from all individual participants included in the study.